Home/blog/Sandy Birkenmaier – Small Business Saturday and Giving Tuesday: Are You Ready? Sandy Birkenmaier – Small Business Saturday and Giving Tuesday: Are You Ready? Small Business Saturday and Giving Tuesday are just a few weeks away. 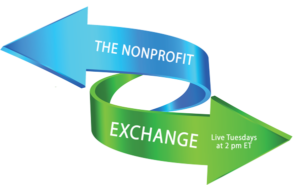 Is your nonprofit organization prepared to participate? Small Business Saturday was begun by American Express in 2010 to encourage everyone to shop at small local brick and mortar stores. It can be equally important for small nonprofit organizations. The purpose of Small Business Saturday is to encourage people to shop local every Saturday, but two days after Thanksgiving in the U.S. (November 24, 2018), or December 1, 2018 in the U.K., is THE BIG ONE. American Express has a site where you can create free promotional materials for your office, your website, or social media at www.ShopSmall.com. Canada’s date was October 20, 2018 (http://shopsmallbiz.ca/). Use Small Business Saturday to promote your business through social media, or to catch the attention of potential merchandise customers or donors in your offices. Your locality may have special promotions going on, too, so start beating the bushes for further information! If appropriate, take photos or videos of the event and post them to social media to generate more buzz. Seek publicity from news outlets before or during the event to bring attention to your organization. Make sure that you are not violating the privacy of clients or donors who wish to remain anonymous. Remember that customer service is a main reason for people to shop local. As social benefit entrepreneurs, that’s also why we do what we do. Always treat everyone who walks through your door, as a customer or client, with the utmost respect and charm. Let them know that, at least at this moment, they are the only person in the world who matters to you. That person in need, or that person with the means to help those in need, is looking for a good experience. Make sure that you are present to provide it. Follow Small Business Saturday on Twitter at #SmallBusinessSaturday, #SmallBizSatUK, or #ShopSmall. Giving Tuesday (https://www.givingtuesday.org) was created in 2012 by a team at the Belfer Center for Innovation & Social Impact at the 92nd Street Y in New York City. It encourages everyone – nonprofits, civic organizations, businesses, corporations, families, and individuals around the world – to donate time, resources, and talents to address local challenges. For 2018, Giving Tuesday is November 27 worldwide. Use #GivingTuesday in your social networking. For more information on how to optimize your participation, see Asha Curran’s article from Nonprofit Performance Magazine, Issue #4, here. Plug your organization into both of these days, if possible. These are perfect opportunities to showcase your organization and the good work it does. These days can also serve as a springboard for a year-end fundraising campaign. Sandy Birkenmaier is a communications coordinator for SynerVision Leadership Foundation and the acquisitions editor for Nonprofit Performance Magazine. Enrich yourself with Nonprofit Performance Magazine. Subscribe today!